Very cool logo designed by EVGA for the new OC Scanner X. 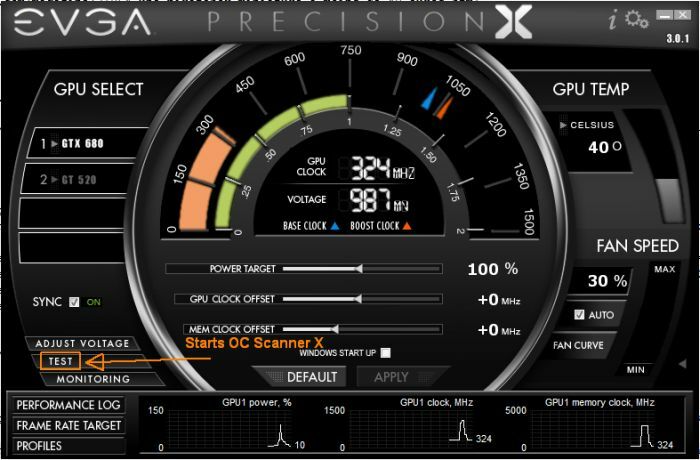 All EVGA’s GPU tools have now the X in their name, certainly to follow the naming of GeForce GTX 680 SMX (Streaming Multiprocessor-X). 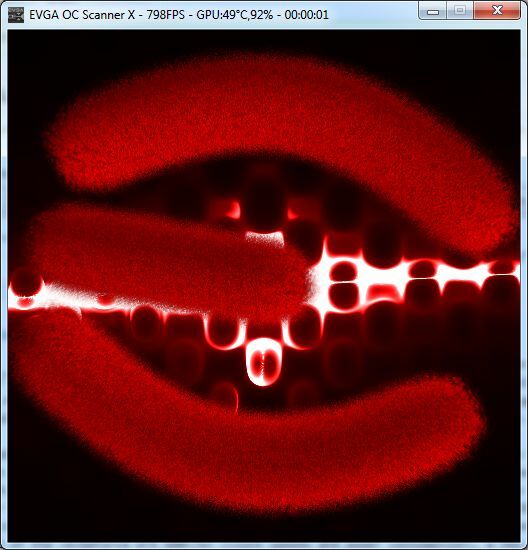 That said, OC Scanner X 2.1.1 is a maintenance version that fixes the same bug than the one present in GPU Shark 0.6.0. This bug affects users of NVIDIA pre-R300 drivers and leads to a crash of OC Scanner (the crash is due to some new GTX 680 functions that work properly with R300+ graphics drivers). 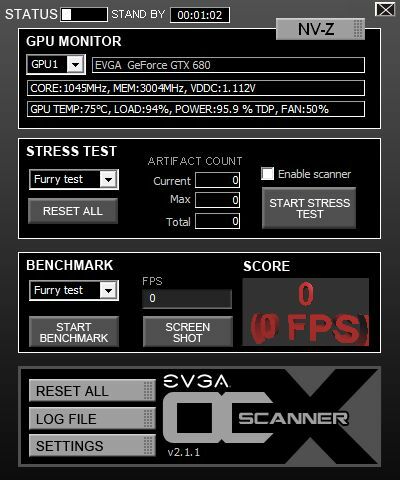 The main new features of OC Scanner X 2.x.x are a new skin, the complete support of the GeForce GTX 680 (clock speeds and power consumption), a new version of NV-Z and a new shader-based effect in the furry test (the dynamic background). 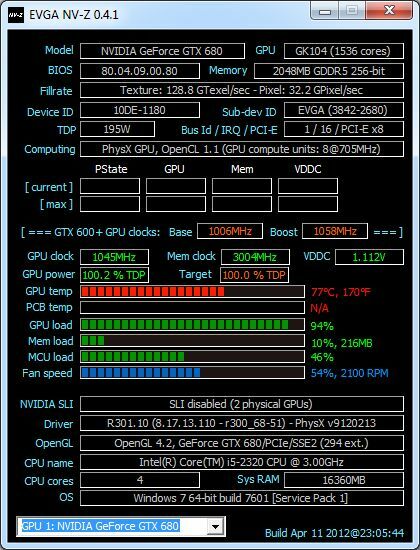 For feedbacks or bug-reports about OC Scanner X 2.1.1, just post in this thread on EVGA’s forums.